The success of your lawn starts with your dirt. The best soil for lush, verdant lawns is loam, a composite of sand, silt, and clay. There are soil sample kits you can purchase from your local home improvement store or county extension office, but you can eyeball the composition of your soil by balling it up. Sand-heavy soil won’t hold its shape when pressed into a ball, and will need some additional silt and clay. Conversely, clay soil will clump together tightly. Loam will hold its shape somewhat, but press through your fingers when you apply gentle pressure. Once you’ve achieved the right combination, till your soil at about a six-inch depth in order for the seeds to take easily. Spread your seed over your prepared loam according to the instructions on the back of the bag. This is the easy part. The trick is in determining how much water your seed needs to have the best chance of flourishing. Too little water will kill your seedlings, but too much will wash them away or cause them to clump together, resulting in a patchy lawn. The general rule is that the top inch of soil to remain continually moist. Keep in mind that freshly-turned loam will retain water extremely well, so exercise caution and vigilance while watering. It may only take three to five minutes under a sprinkler, three times a day, to achieve the necessary level of hydration. 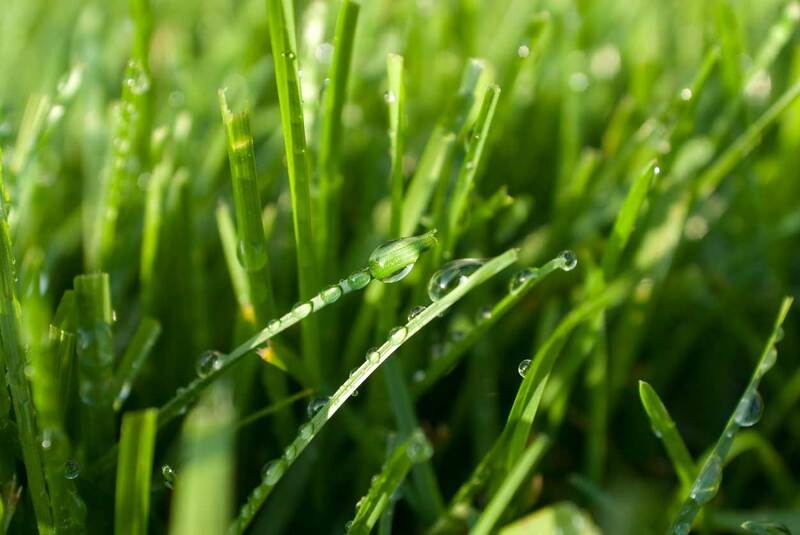 Once your lawn is well established, however, it will require deep, less frequent watering. The goal of deep watering is to train the roots of your lawn to extend further into the soil, making your grass heartier and more drought-resistant. Once your lawn is the jewel of the neighborhood, envy of your neighbours, there are a few tricks to maintaining it. Weeds, the perennial bane of most yards, can be pre-empted with a coating of corn gluten meal. This is a natural solution to most other chemical-based herbicides, and pulls double duty by fertilizing your soil while protecting your grass from invasive weeds. Introducing mulch, fertilizer, and nutrients to keep your lawn in shape can be done in two easy ways. The first is to use compost, which can be gathered from kitchen scraps and garden waste and scattered over your lawn. Think of this as a system to slowly release crucial nutrients into your soil. The second way is even easier: simply leave your grass clippings laying on top of your lawn after mowing. This creates a natural mulch that also releases nutrients back to the grass it was cut from. The final trick is not over-cutting your grass. Knowing what height your grass thrives at well improve the overall quality and longevity of your lawn. Most rye and fescue grasses should be trimmed around a two-and-a-half inch height, while bermuda grass should be trimmed a little shorter, between a half-inch and an inch. To learn more about how to get a thick, green lawn, contact us today.